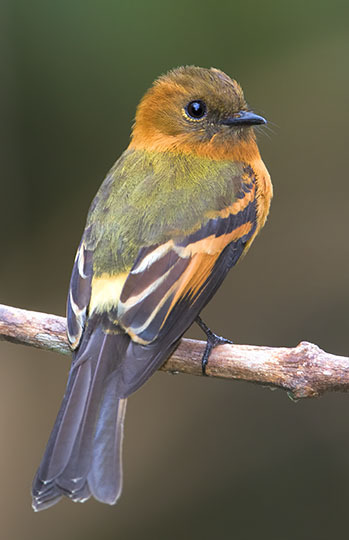 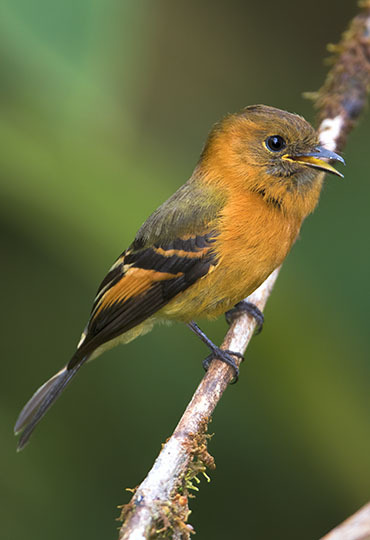 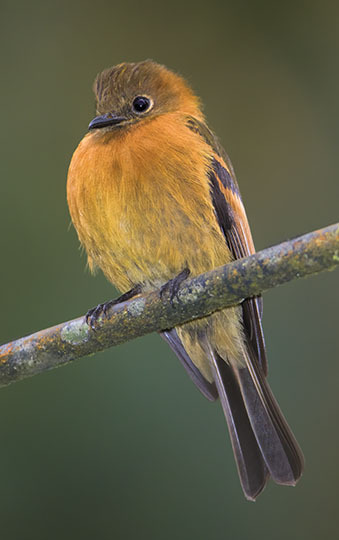 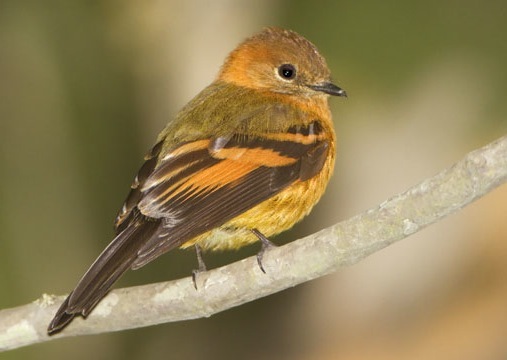 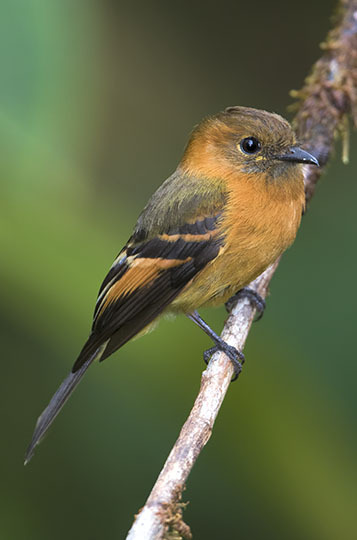 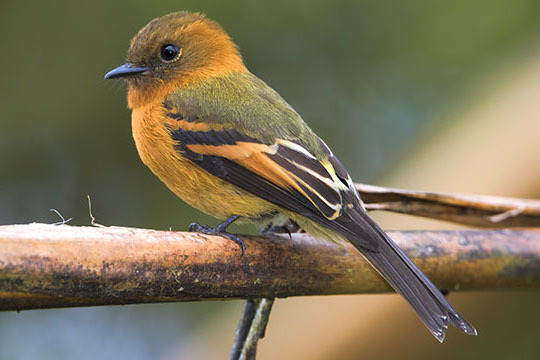 The Neotropics are full of tyrant flycatchers of all sizes and colors. 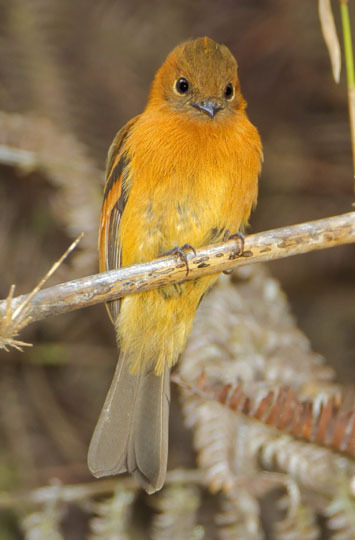 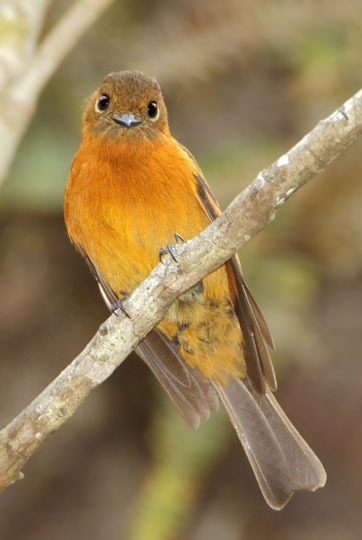 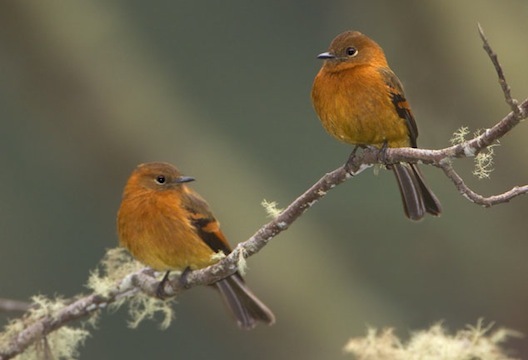 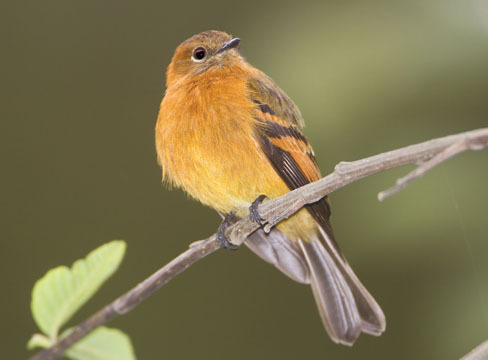 These attractive little birds are cinnamon flycatchers, a common species in mid-altitude Andean forests. 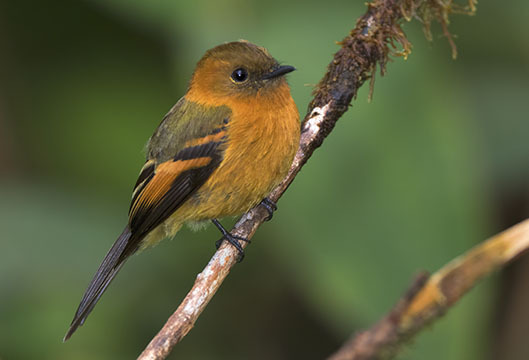 These were photographed at about 2000 m altitude on the Manu Road in southeastern Peru, and about the same altitude in cloudforest in the mountains above Cali, Colombia.